Starbucks coffee and tata group will expand their business this year across India and world, source via - google search, business news. Starbucks coffee will introduce TATA group's single-origin coffee in the US and also the Himalayan mineral water in Singapore. For the first time, the world’s largest coffee retailer will sell single-origin, premium coffee from India in the US. Starbucks coffee and the Tata group are also planning to launch the Kenyan and Sumatran coffees at Starbucks stores which are all over India. Vistara airlines which are also a full-service airline will have Starbucks coffee on board, Vistara is a joint venture between Tata Sons and Singapore Airlines, which operates more than 457 flights weekly to 17 destinations and flew two million travelers by June. 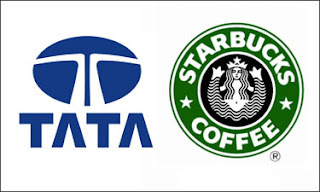 This Starbucks coffee and Tata Group joint venture have resulted in great growth for both of the parties. Tea category in the US stores have had great results and success so now they will be planning to launch their tea category brand Teavana in India this December. India has been the fastest growing market for Starbucks which is in partnership with the TATA group who opened their first store in 2012. Starbucks have said that India will be its five largest markets in the coming years. 13 percent of the company revenue comes from its China and Asia Pacific region, more expansion plans are bing made for the same. The growth in India is faster than it's growth in China as they were compared to when they were open. India is the second-most attractive market for global retailers to expand after China, according to The 2016 Global Retail Development Index by consultancy AT Kearney. In India to understand the dynamic state wise is more important for the foreign investors, India has also improved the ease of doing business so the growth opportunities have increased. There are a lot of new business to come in this joint venture.